The "warm spring" of China-Europe ties persists even as Chinese Premier Li Keqiang concluded his five-day European trip on Friday. Three segments made the premier's first overseas trip this year significant, namely the 21st China-EU leaders' meeting, the official visit to Croatia and the eighth leaders' meeting of China and the Central and Eastern European Countries (CEEC). A review of practical fruits garnered shows that China-Europe ties have been further strengthened. As a result of frequent interactions and unremitting efforts between the two sides, China-Europe ties have become healthier and closer over the past few months. In March, a 10-point consensus reached during the ninth round of the China-EU high-level strategic dialogue was a euphonic prelude. Several days later, more impetus was injected into the China-EU comprehensive strategic partnership with Chinese President Xi Jinping's successful state visits to three European countries – Italy, Monaco, and France. One of the most noteworthy outcomes during Xi's trip was Italy's signing of a memorandum of understanding on Belt and Road cooperation, which made it the first G7 country to officially join the China-proposed initiative. Almost a week later, the two sides further demonstrated the resilience and robustness of their ties when a joint statement was released after the China-EU summit and when Greece joined China-CEEC cooperation as a full member. "(High-level exchange is) a clear signal to the world of enhancing strategic mutual trust and deepening strategic cooperation between China and the EU," said Ambassador Zhang Ming, head of the Chinese Mission to the EU. 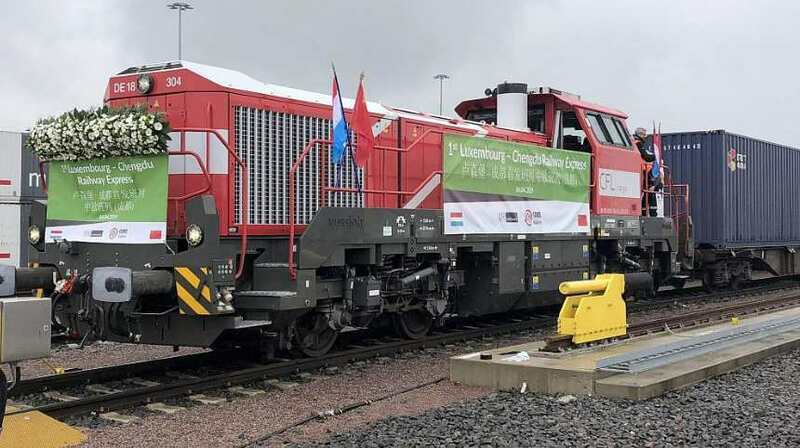 The expanding trade volume and fruitful Belt and Raod Initiative (BRI) cooperation are fine clues showing the developmental direction of China and Europe in the next stage. The latest statistics show that the past 40 years have witnessed a 250-fold increase in trade between the two sides and that the EU has been China's top trading partner for 15 years in a row, while China has been EU's second largest trading partner for years running. The foreign investment law, which was adopted by China's national legislature last month, will also significantly contribute to the liberalization and facilitation of investment between China and the EU and create more opportunities for future cooperation between the two sides. In June, China will further shorten its negative list for foreign investment, adopt the principle of deeming areas that are not on the list as fully open, and continue to improve its business environment. Moreover, the increasingly popular BRI serves as another momentum. For example, the upcoming second Belt and Road Forum for International Cooperation will be held in Beijing at the end of April, which will broaden the vision of advancing quality Belt and Road cooperation with more opportunities. Challenges always go with opportunities. In the context of the complex and volatile international situation, how will the two sides continue their story? The answer might be found in EU leaders' remarks on Tuesday: "The European side is confident in the Chinese side, and in the EU-China partnership."